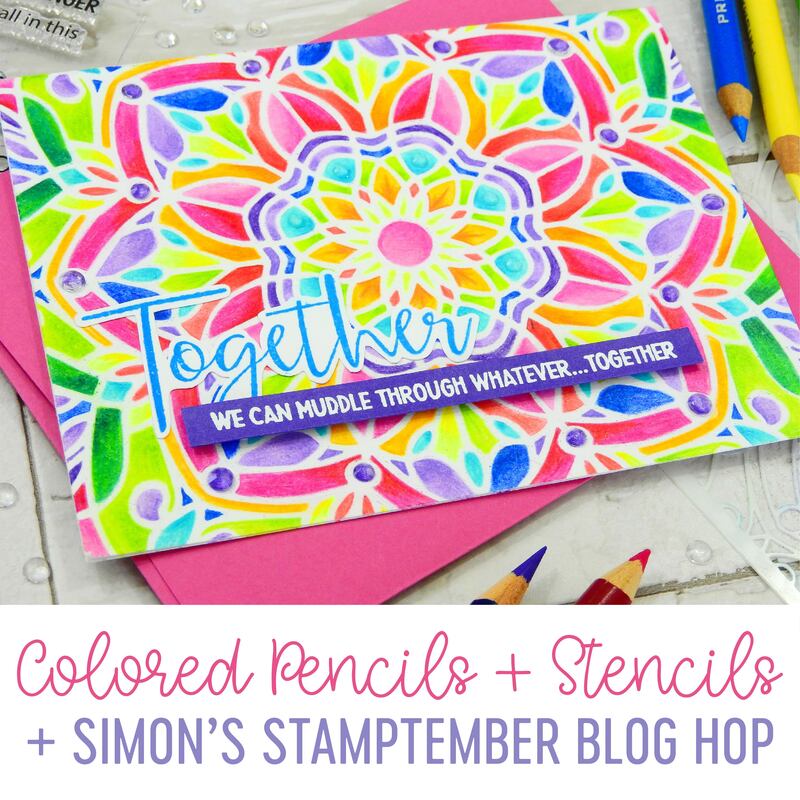 Colored Pencils + Stencils + Simon’s STAMPtember Release Blog Hop! Woohoo, the big day is here! 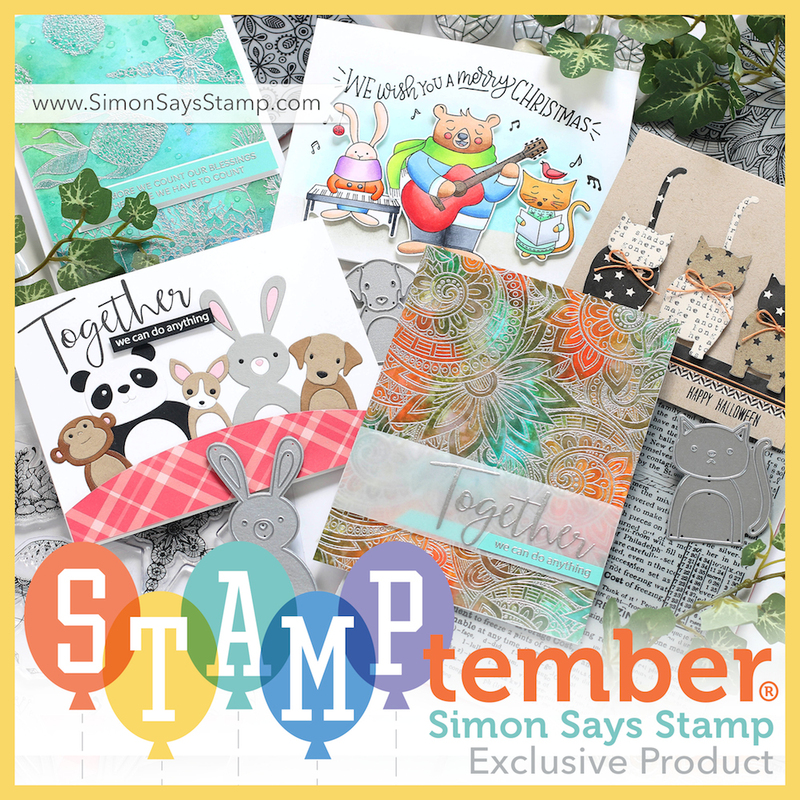 The first day of an entire month of stamping fun… Simon Says STAMPtember! 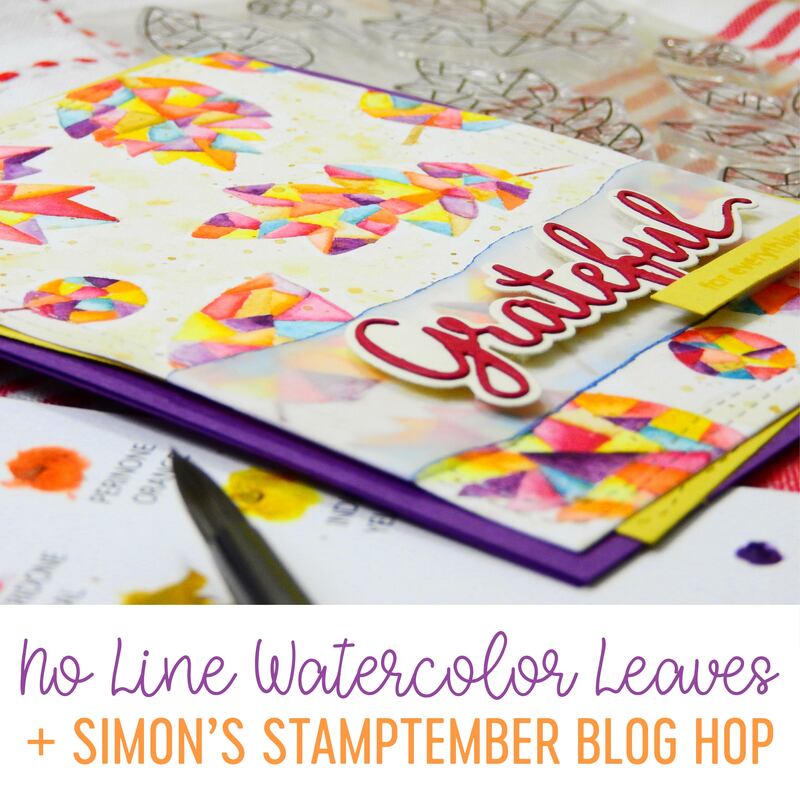 And today is day one of Simon’s STAMPtember release blog hop! If you’ve already been hopping along with so-very-talented Amy Rysavy’s blog! Or if you are just joining in, you can find the entire hop list down below. 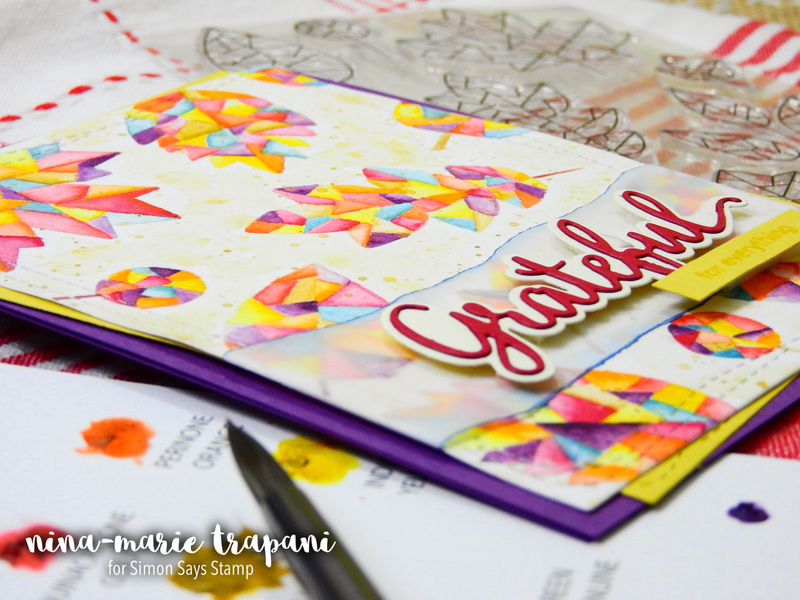 STAMPtember is a much-anticipated event for all of us, and a lot of prep works goes into this fabulous month of celebration! All of us at Simon have been extremely busy over the past few months gearing up for the festivities and I hope you have a ton of fun this STAMPtember! Stay tuned for upcoming new releases, exclusives, prizes, social media action and some big surprises! 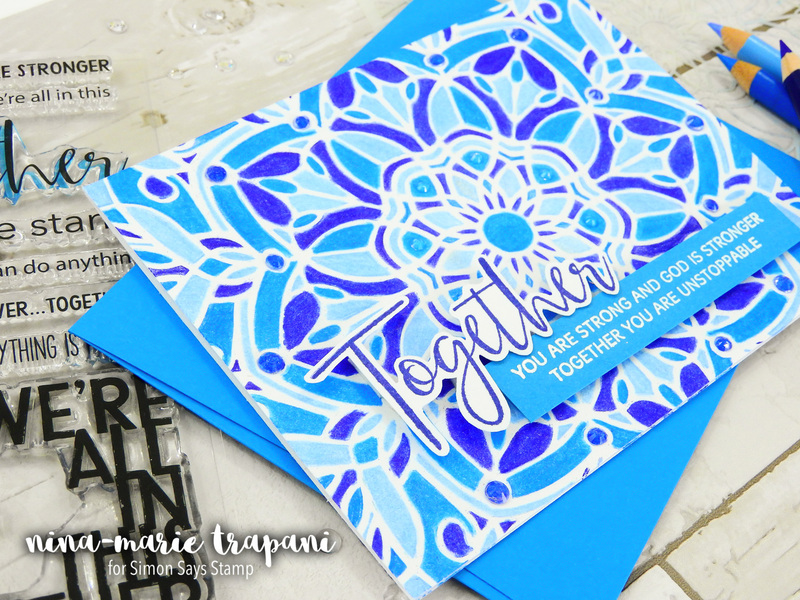 I was really excited to play with the new Stained Glass 1 stencil, as I really loved the pattern of it. There are a couple of other new stencils that I loved from the STAMPtember release as well; Debra and the Holiday Tree Medallion. One evening I was relaxing and watching some TV and while I did so, I broke out my colored pencils. I at first thought of coloring a stamped image, but then had the idea of using the new Stained Glass 1 stencil. So I taped it to a white card base and colored away! The result was this gorgeous rainbow-background that I absolutely love. 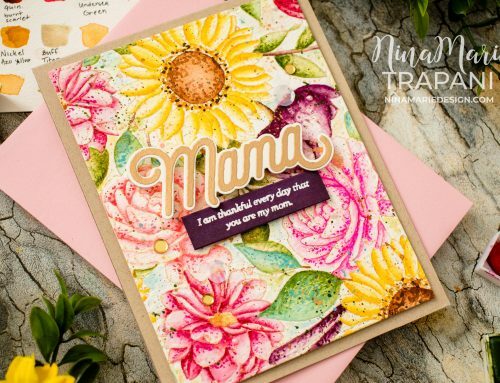 If you watch the video below, I’ll take you through the steps I took in creating the background – as well as the rest of the card. As with the first card, I used the Stained Glass 1 stencil. 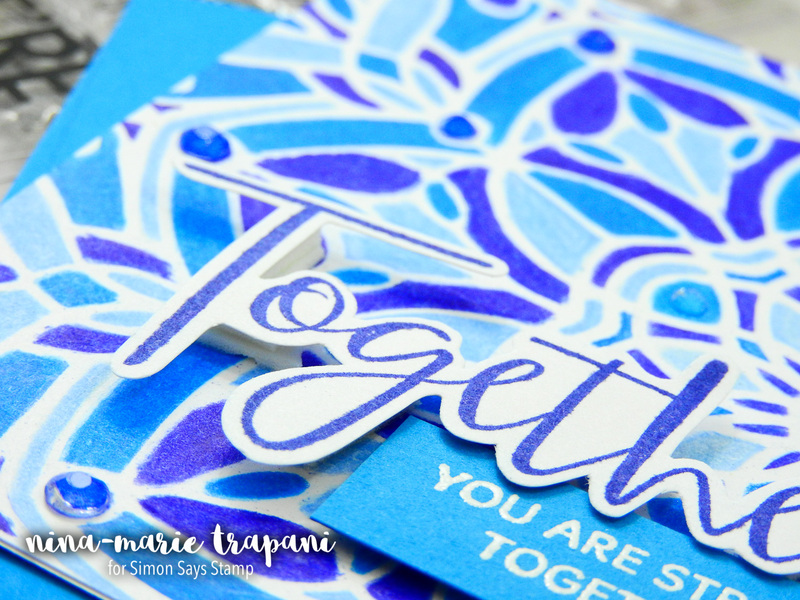 The beautiful script sentiment is stamped in Blue Violet ink using the new Together stamp set. 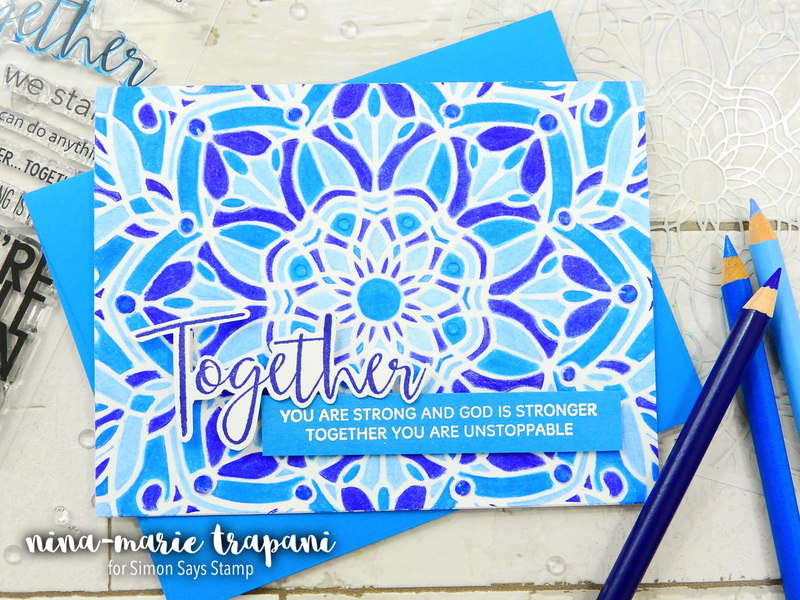 On this blue version, I white heat embossed a supporting sentiment using another new STAMPtember set called You Got This. I’m particularly excited to share this stamp set because it’s the my latest of stamps designed exclusively for Simon! 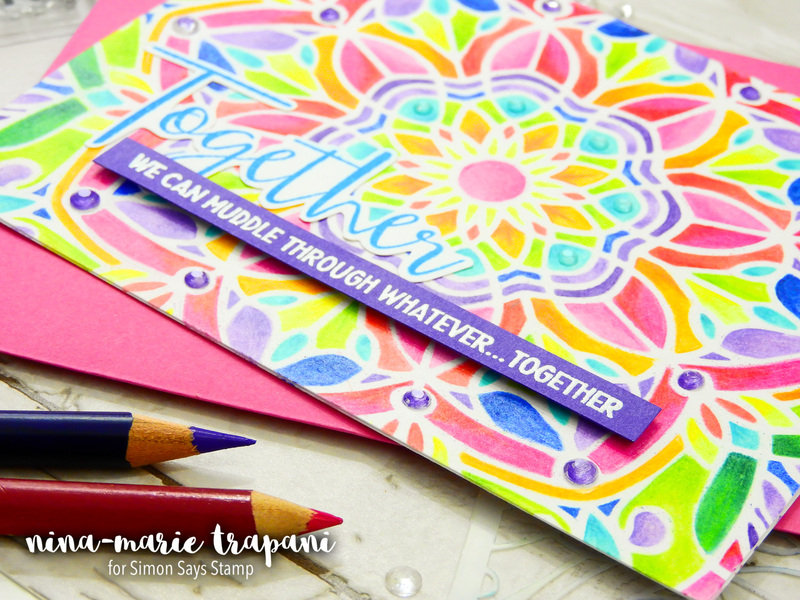 SEE THE ENTIRE STAMPTEMBER RELEASE! The weather has been on the chillier side here in Maine of late, and it inspired me to think of the crisp, fall days that will soon be upon us. 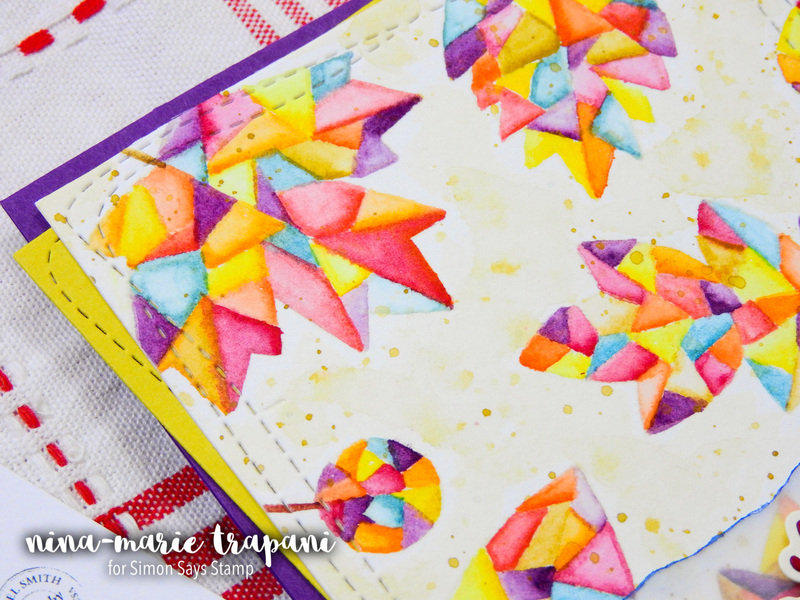 I really love the geometric design of the new Fractal Leaves stamp set from the STAMPtember release. There are also two gorgeous collections of Daniel Smith watercolor dot charts Simon released, one of which I used to watercolor this card (the Shari Carroll palette; there is also the Debby Hughes’ palette). These dot charts are great for testing out new colors to see what you might like to add to your collection of watercolors. I have a couple of Daniel Smith’s colors in my palette, along with many from Winsor and Newton. One of my favorites from Simon’s Daniel Smith dot charts is Sap Green; something about this green makes me happy! That color is included in the Debby Hughes’ palette. I started by stamping the entire set of images from Fractal Leaves in Barely Beige ink from Simon. I chose this ink in particular because it will not show up after the coloring was finished. I then proceeded to watercolor all the leaves; the paper I used was some 100% cotton watercolor paper. I just recently found this paper and have loved using it! After coloring the leaves, I also painted a very light version of Yellow Ochre into the background around the leaves. My panel was cut down with a Simon Wonky Rectangle die; I also layered some yellow cardstock cut with the same die behind the panel before attaching the two panels to a purple card base. The colors from the Shari Carroll palette work so well for autumn, and I was really pleased with how they turned out! If you don’t have the Daniel Smith watercolors and instead have Winsor and Newton colors, I did some comparing for you. Note: DS is Daniel Smith and W&N is Winsor & Newton. All colors are linked below in the supply list. 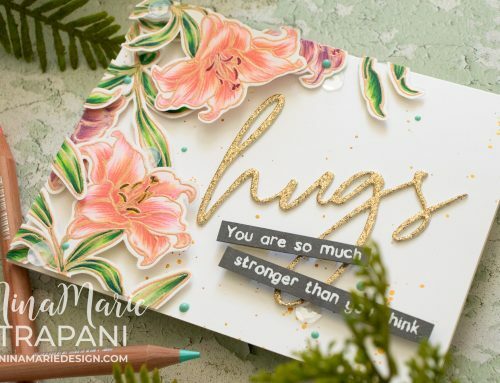 I am THRILLED to share my newest stamp and die designs with you: the You Got This stamps and Prettied Up Gift Card dies! 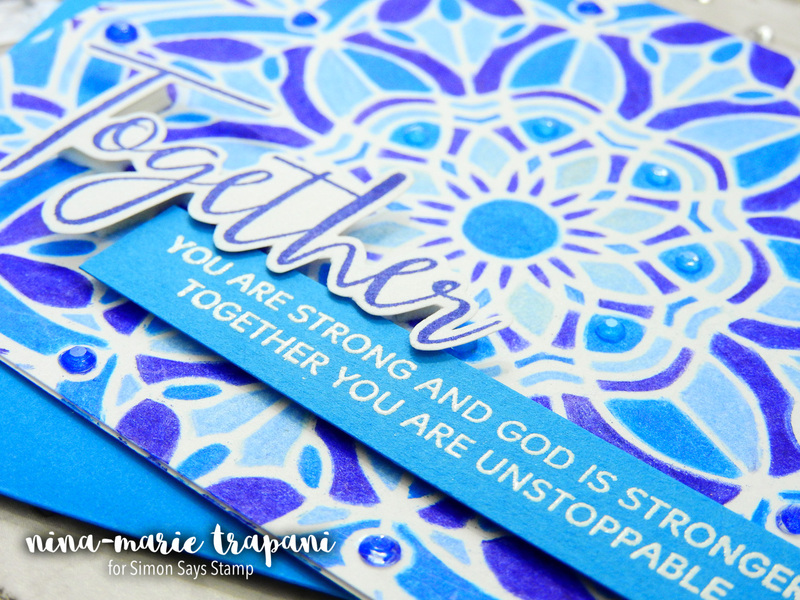 The You Got This set was inspired by the fact that I love creating encouragement cards. Often I want something more than just the usual simple greeting though. 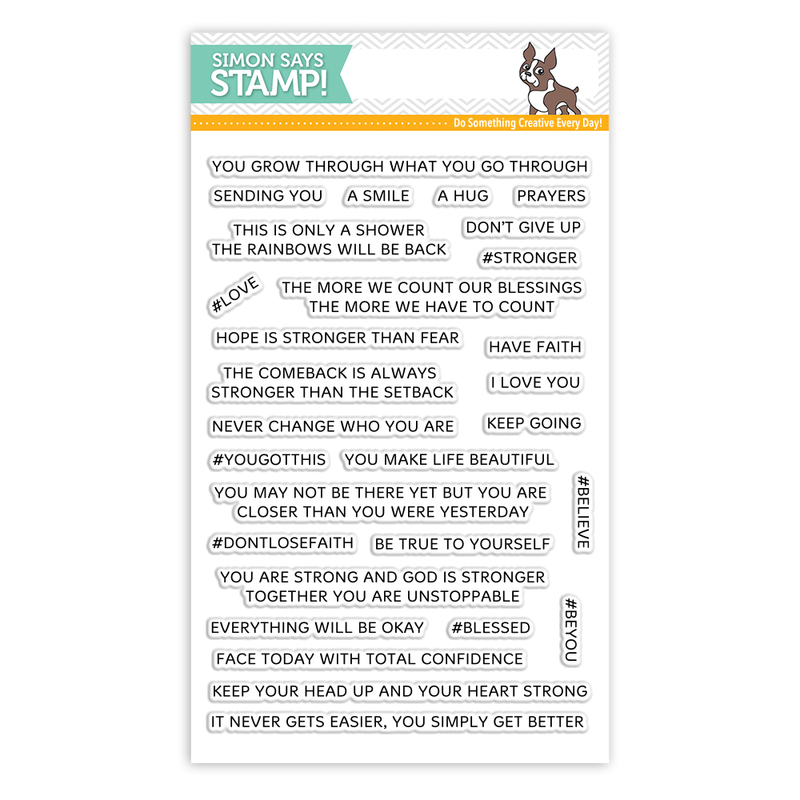 So I came up with a whole assortment of encouraging sentiments and designed them in a clean font that could be used on just about any card. Prettied Up Gift Card is a die set that is perfect for using in a variety of ways to dress up a gift card. 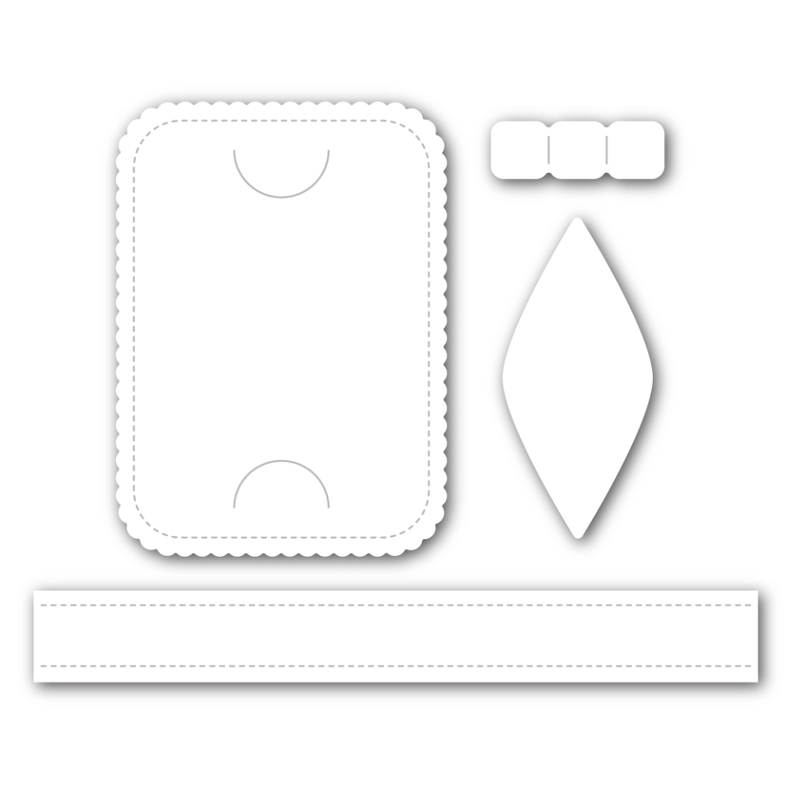 The set includes a scalloped gift card holder, a set of dies to make a bow, and a “belly band” to wrap around the gift card. The gift card holder can be used on its own, or mounted onto (or inside!) an A2 card. You can also make the gift card holder with or without the bow. My goal was to make this die be versatile for any type of card. If you’d like to see how to build the Prettied Up Gift Card die, you can find a “how to” video that I did HERE. 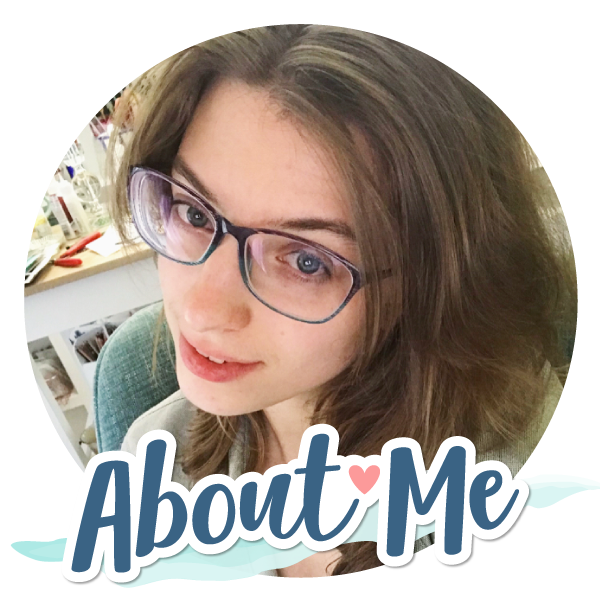 Nina-Marie Trapani – that’s me! Simon is also generously giving away $50 gift certificates at EACH stop in the hop! Leave a comment here on my blog, as well as everyone else’s blogs, for a chance to win! And remember that tomorrow Simon is hosting a second blog hop! Make sure you visit the Simon blog for additional details! 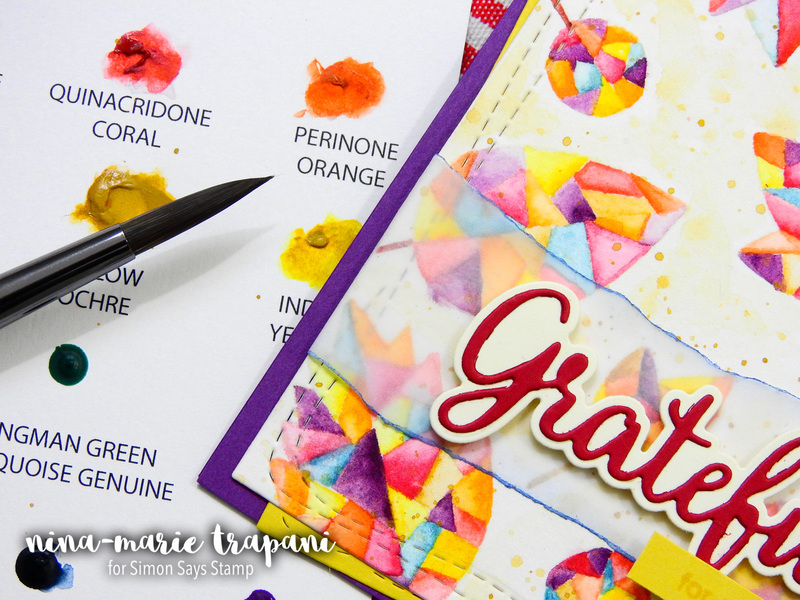 Don’t forget that you can see more STAMPtember inspiration in the Simon Brand Galleries! And you can add to the gallery too! 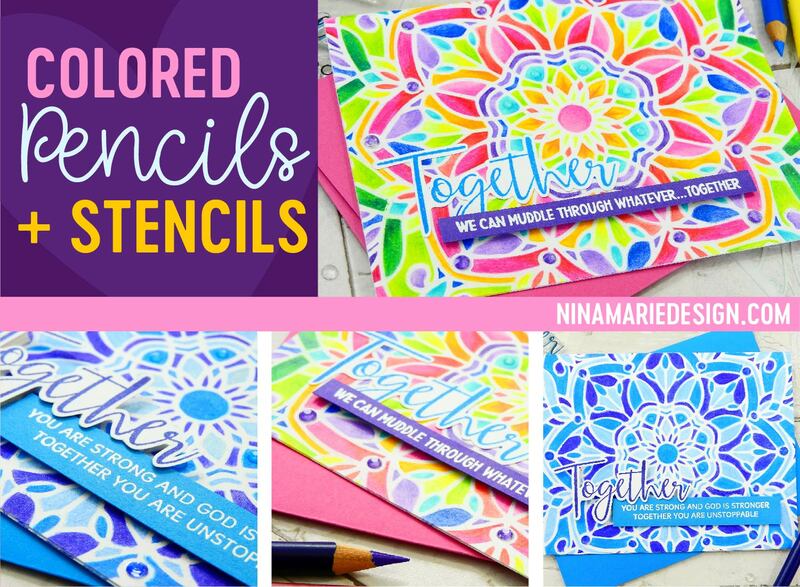 When you great something with our new STAMPtember release products, be sure to link up your projects to the gallery! We love seeing what you create! Such pretty cards!!! 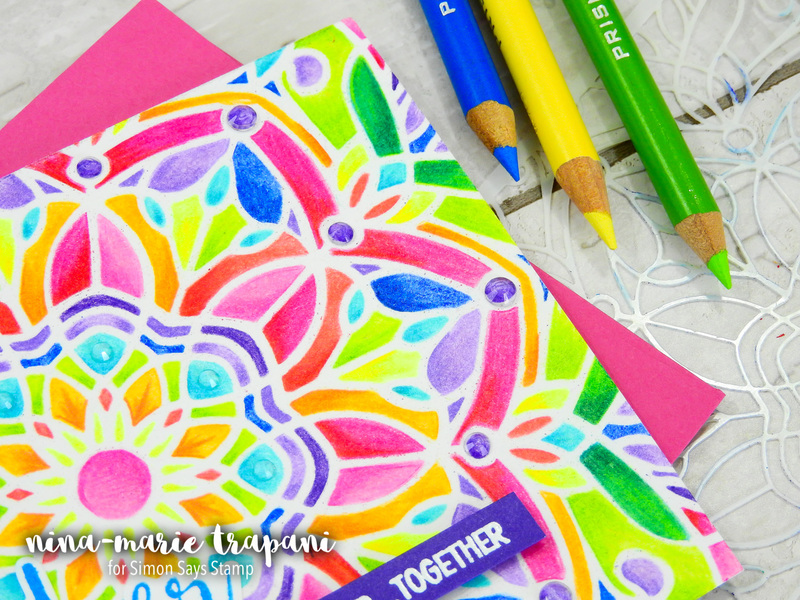 Love your colored pencil coloring, so pretty!!! 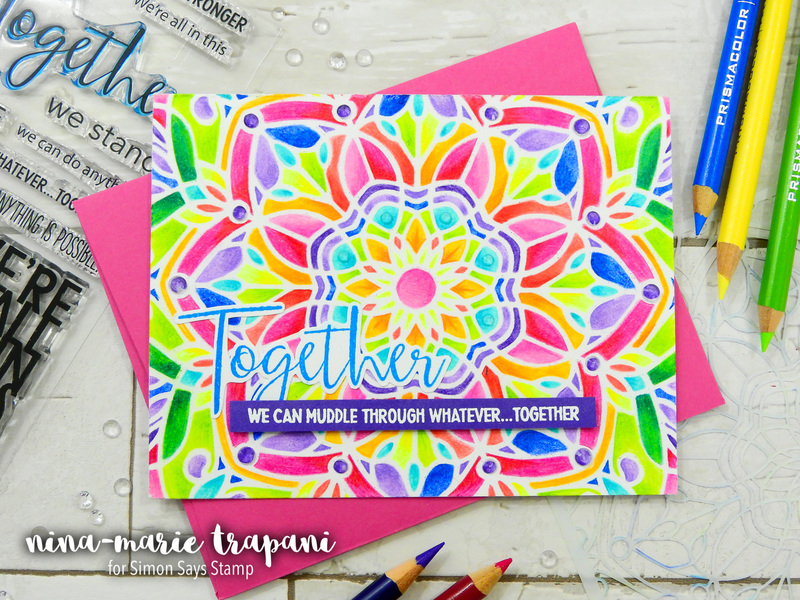 Wow, I love these awesome bright card that you make, and what a beautiful stamps! Love the blue card, especially the technique. Something I had not come across before! Thank you for sharing your colored pencil skills. That is my favorite medium! I always love your colour choices, Nina-Marie! Your videos are a joy to watch as well! Thank you for always inspiring! STAMPtember is a lot of fun! Great vibrant colors, love them! A very colorful cards. I love it! 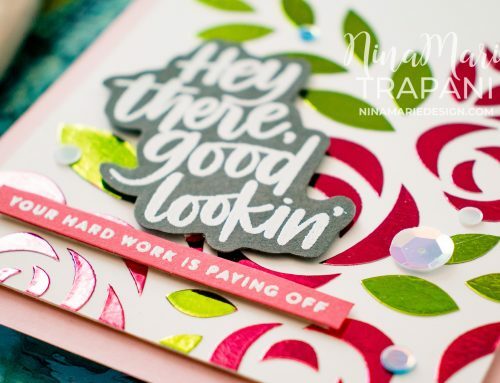 Wonderfully bright and colorful cards, Nina-Marie!! Amazing card! Love the brilliant colors! You are very talented. What beautiful cards. I adore the stamp set you designed, and love the cards you created with the stained glass stencil. You are so very talented! 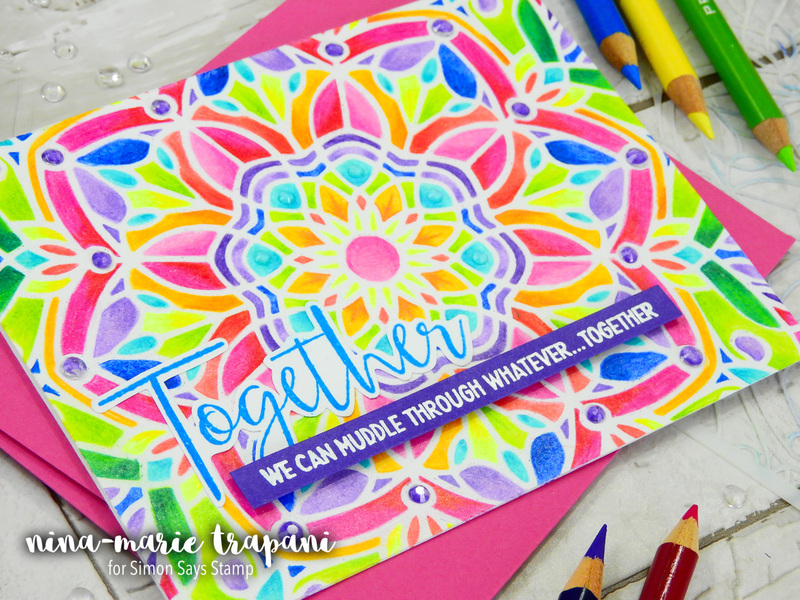 Amazing talent, adorable cards, fun new products! Thanks for sharing! Love those first couple of cards. Looks like a caliedescope.